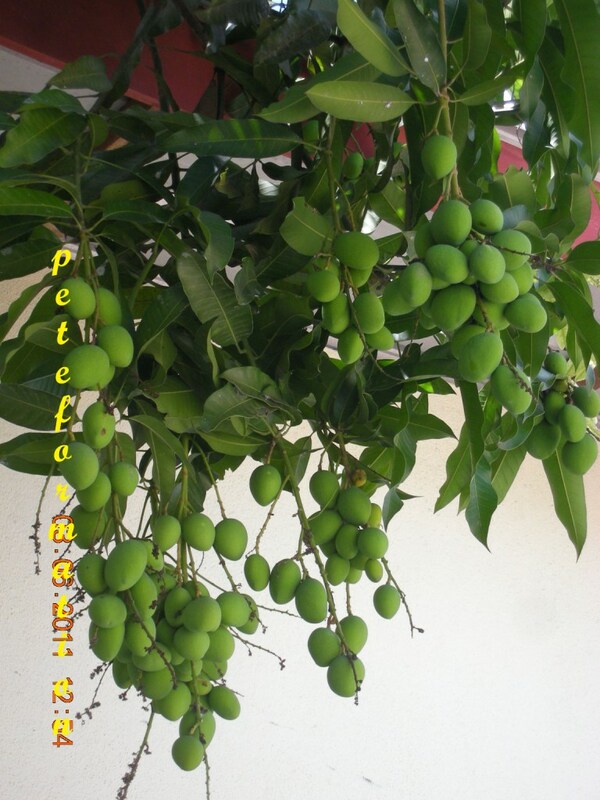 The mango tree at my MIL house bears lots of fruits recently. This is common small size mango and many people do not eat it because it is very sour. I couldn't resist but to pluck some for making pickled mango. You can make a good pickled mango using the procedure below! First wash and cut the mango into bite sizes. 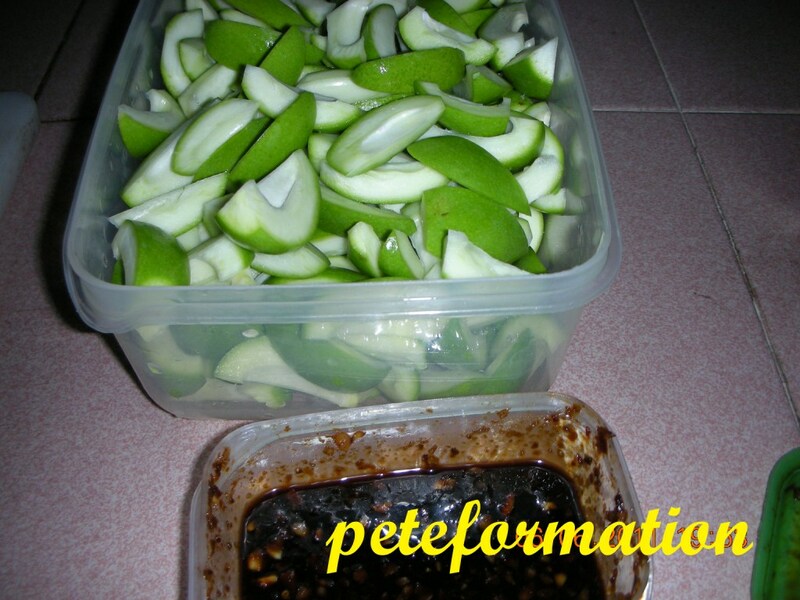 I ate some with the homemade rojak sauce that I have in my fridge. Wow wee......very sour but nice.....spicy, sweet with the sauce.......saliva dropping! ha ha ha! Pour some salt onto the mango and drinking water to make a brine solution enough to cover them. The salt is for removing the sour taste of the mango. You must use boiled water (cooled down) or else the mango would turn bad. To be save, I put the whole container in the fridge for 2 days. After soaking the mango in brine solution for 2 days, pour the water away and add drinking water. Put it back into the fridge for one day to remove the salt. Pour away the water and add drinking water again to wash away the salt. Store in the fridge for another day. When the mango are no longer salty, pour away the water and add sugar syrup. 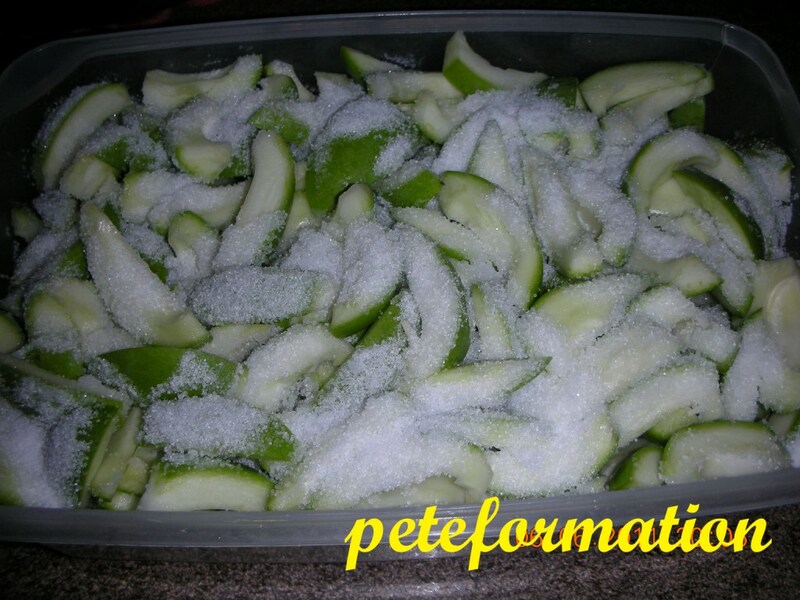 Leave the container in the fridge for one day before consuming to ensure that all the sugar are absorb by the mango. 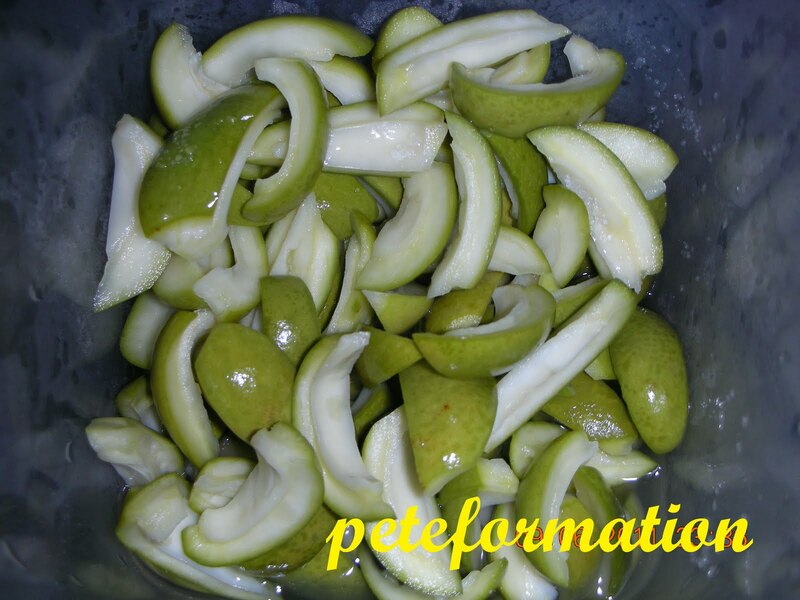 The photo below shows the end result of my crunchy pickled mango! never made a pickle before, this looks good. My favourite, wht else can I say since I'm drooling right now, lol! Eyewwww....with skin? I don't like...even though people ulam with the skin even. Oi..meleleh air liur! !..the recipe is pretty similar to the one I got from my BIL's friend from Terengganu.Dulu i terror buat but now I dah lupa lar the recipe and method, so sayang!...but the taste I tak lupa..very crunchy and sweet and sedap.Mango muda here tarak...so I just look and drool at yours saja lar. Is this called 'swine ngia chu' in Hokkien? Got this tree back home too and very sour. Aiya too late tree no more there except the stump, else can follow your recipe. tQ. Oh no! My dad has a big mango farm in Indonesia. Recipe saved! For next going back home! Yay! OH HELP!!! I'm drooling.. I'm drooling. Pete, how can you do this to me? Btw, do you intend to sell some of your pickled mango? i'm slaivating already just reading the name of the post! Thanks for the tips, love this pickle mango.